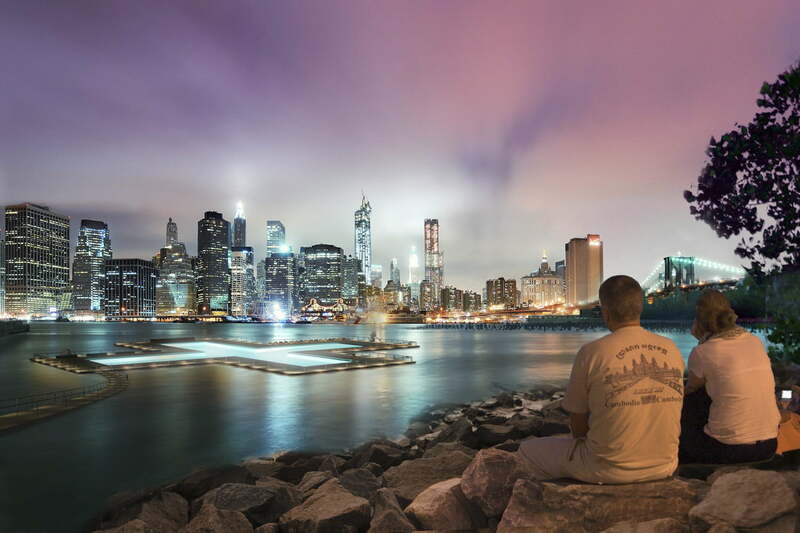 For the past six years, a group of enterprising New Yorkers has been chasing a simple dream: to transform the city’s dirty rivers into clean, swimmer-friendly waterways. 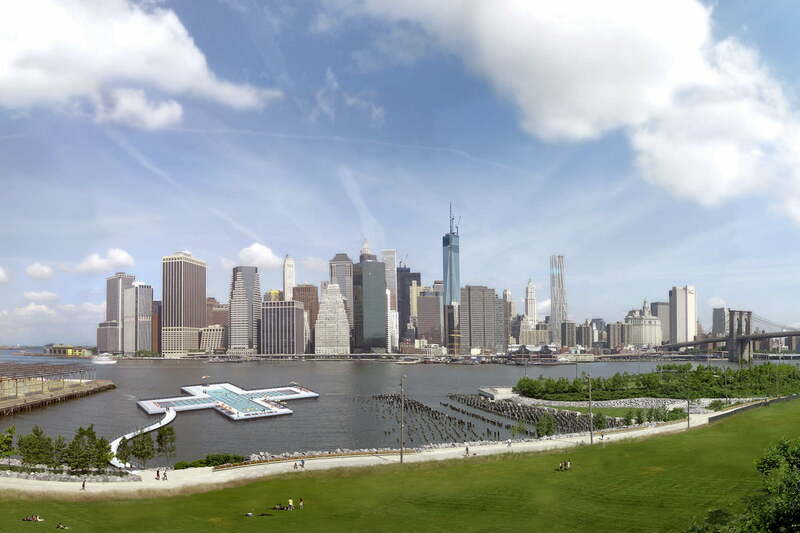 To make this happen, the team has designed a giant floating filter — one that just so happens to double as a swimming pool. They have run thousands of tests, launched a Kickstarter campaign (then a second Kickstarter campaign) to fund it, and even secured a few high-profile sponsorships. But despite all these successes, the team has yet to get the so-called +Pool in the water for one big reason: the law will not allow it, because there is no law for it. Before we get into all that legal stuff, here’s a quick refresher: +Pool is meant to be a 9,000 square foot water-filtering pool that’s shaped like a plus sign and designed to clean the river it floats in. The pool’s multi-layered filtration system is designed to remove wildlife, debris, trash, bacteria, and viruses from the river before the water becomes swimmable. If/when it’s completed, the +Pool will reportedly be able to hold 5,000 visitors and filter more than 600,000 gallons of river water per day. If this sounds familiar, it’s probably because you’ve heard about the project before. The idea first gained widespread media coverage back in 2011, and has been slowly gaining steam ever since. Now, six years down the road, Heineken is throwing its hat in the pool by pledging to donate $100,000 to the project, as part of the beverage company’s Cities Project — but only if +Pool can get 100,000 signatures from New Yorkers who pledge to swim in the pool once it’s finished. The plan is to show those signatures to the city of New York in order to get permission to put the +Pool in the East River. Digital Trends spoke with +Pool co-founders Archie Lee Coates IV and Dong-Ping Wong, as well as numerous New Yorkers, at a recent +Pool event in New York City to find out how long New Yorkers will have to wait before they can swim in the pool, what the city of New York has been doing to prepare, and how Brita helped the team build a one-of-a-kind water filtration system. The people behind +Pool have been in talks with the city of New York since 2011, and have closely tailored +Pool and its filtration system according to as many pool and beach standard regulations as it can — but it’s been a long and difficult journey. “We’re working with the city now to find the right location, which is hard,” Coates said. “The river changes currents, depths, the amount of sewage that comes out of the pipes at different rates,” Coates said. Columbia researchers and engineers at design firm Arup have helped the inexperienced group with understanding water filtration, but doing something that’s never done before usually requires a lot of trial and error. “We thought, ‘well, Brita works like this. Could you make that way bigger? Let’s try that. It doesn’t work. Let’s try something else,'” Wong said. Coates and Wong say the tech-savy mayor Bill DeBlasio’s administration has been cooperative after years of no talks with the city of New York during Michael Bloomberg’s administration. 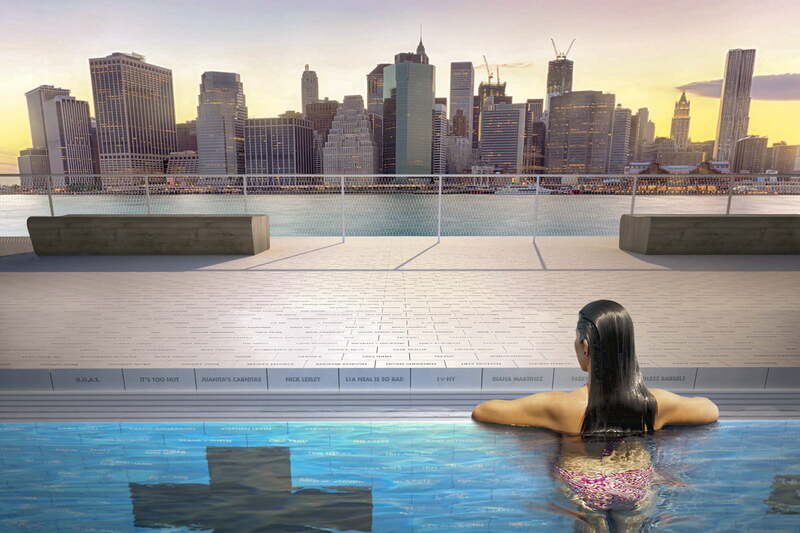 But, getting the city of New York on board will not automatically get New Yorkers in the pool. 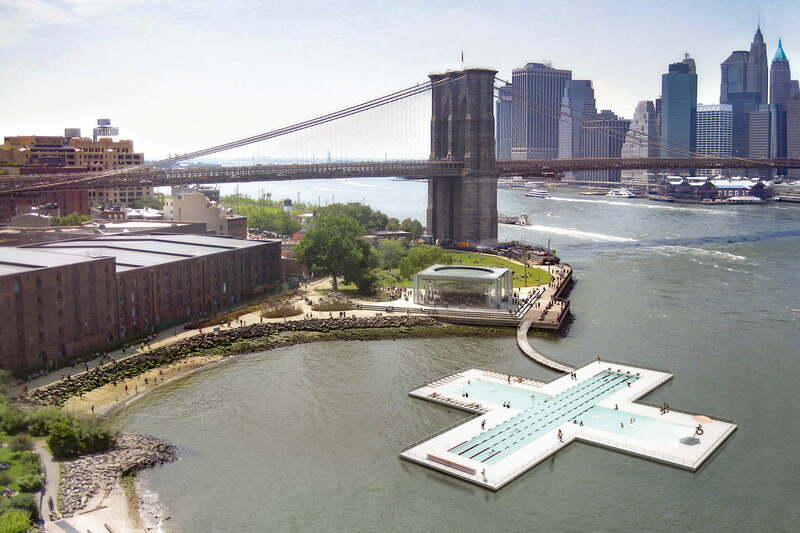 Let’s say the +Pool group comes to the city of New York with 100,000 signatures from New Yorkers saying they’ll take a dip in the East River with +Pool, and the city approves it. Even in a best case scenario, Coates expects +Pool will not be open to the public for at least three to four years. Most of the New Yorkers I spoke with at the +Pool event have spent so long with dirty NYC rivers they would wait a few years if necessary. “I would wait 10 years,” said 31-year New York native Will Guy from Greenwich Village. 26-year New York native Ashton Resto said +Pool would probably fall to the back of his mind if he had to wait, but the same excitement and interest would return once the pool opening is announced. Raul Esquer, brand manager for Heineken USA, is already anticipating a difficult road ahead, saying that bringing +Pool to NYC rivers will be “attainable yet challenging.” At the time of press, the +Pool’s campaign has garnered just under 7,500 signatures. To bolster awareness, Heineken produced a mini-doc about +Pool’s story, narrated by Neil-Patrick Harris, and let people walk through Wong’s +Pool designs in a virtual reality experience. There may not be laws in place right now to regulate a floating, water filtering pool, but that doesn’t mean there won’t be soon. Don’t forget that just a few years ago, there also weren’t many laws for drones. When you consider that autonomous flying robots — and the laws that regulate them — are fairly commonplace in the present day, the notion of swimming in clean NYC river water doesn’t seem so out of reach.